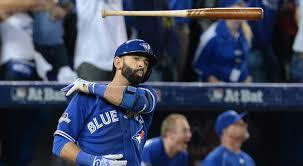 MLB Blog: No place like home for Jose Bautista ? WASHINGTON - Jose Bautista's camp met with the Toronto Blue Jays on Tuesday in what looked like an attempt to resign the slugger. 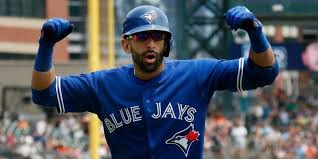 Bautista hinted through the press during spring training in 2016 that he was interested in signing a multi year (possibly 4-5) deal in the $120M range. However, his 2016 season was less than average for the slugger as he was on the disabled list several times. Some owners might interpret this as an indication that Jose's age of 36 might be catching up with him and his days as a defensive player might be numbered. This would him to only American league teams who utilize the designated hitter.